The Academy Needs Your Support! It is our goal to be the most successful martial arts academy in the area, by helping other families, like yours, get involved in our training. To do that it is simple, we need more students like your family. Now, we could advertise to get new students but to be honest it’s a very ineffective (not to mention expensive) way of meeting the right people. Without a doubt, the most successful way we have of meeting a new members is the direct recommendation of an existing student. Those students who join the school because of a personal recommendation are far more likely to become long-term martial artists because they already have an interest and an idea of what is involved. This is how you can help us build our Academy – by inviting like-minded friends, parents and children to try a 30 day trial membership as your VIP guest. This will entitle them to the same offer that you used to sample our classes, save on your membership and receive a free uniform when you enrolled. When you help us, we’ll reward you! As we would really like to encourage you to recommend your friends, we have a system where every student has a chance to win some great prizes simply for recommending the school to others. When your friends enrol with the Academy, as our gift for helping our academy grow we will give you a gift voucher to say thanks for your support. Junior members will also earn a blue star for their uniform too. We’ve got some special ‘VIP’ invite cards which you can give to anyone you’d like to introduce to the school. There’s a space on the card for you to add your name as their ‘sponsor’ so please be sure to do that so if someone brings us a card we know who invited them! We’ll give you a few invites to get you started but if you need some more just ask as we’ve got plenty! You can even VIP your friends online now too, just go to this page and fill in their name/email and phone number and we’ll contact them to invite them to the school. Please remember, we never want to ‘spam’ people with unwanted messages, so it’s very important that you’ve actually spoken to your VIPs first so they know we’ll be in touch! 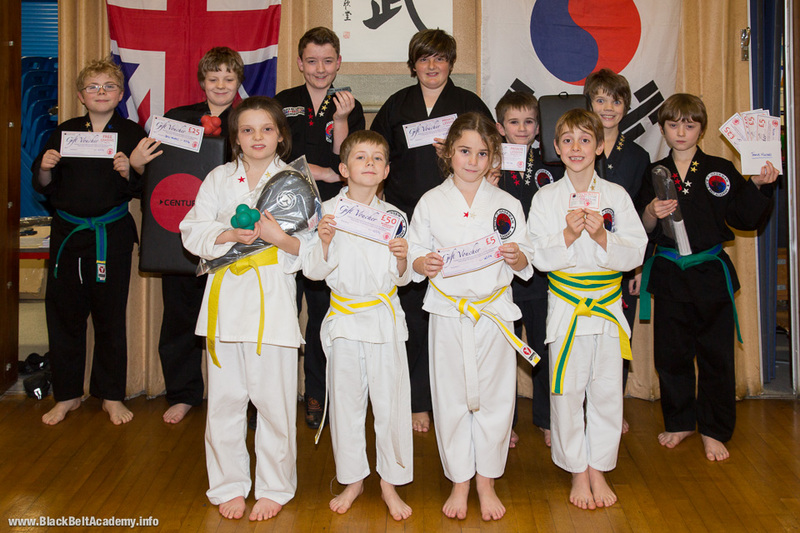 Every quarter at Graduation night, we have a prize draw raffle where students can win all sorts of cool martial arts related prizes, including training equipment, gift vouchers etc. Every time you refer a friend you earn tickets for the draw, and should they visit the school, take an intro or a trial membership you’ll earn some extra vouchers too. To earn your ambassador badge, all you need to do is refer five potential students and complete your first VIP collection card. For each person you refer you’ll get a stamp on your card, fill the card and you’ll earn your badge. 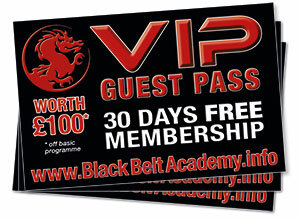 You’ll also earn yourself an Academy gift voucher which you can spend on equipment or events including your grading examinations and other special events. To qualify you just need to give us their basic contact details (we need a name, phone number and email address) and let them know we’ll be in touch. Sorry but if we can’t contact them it won’t count! 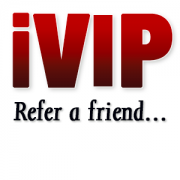 You’ll also earn a referral for any person who brings in a VIP card with your name on. 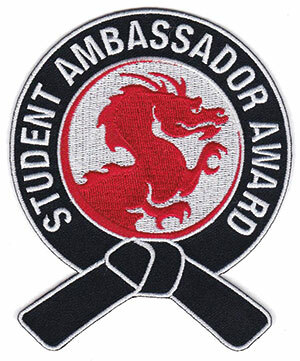 Fill your collection card (5 VIPs) & you’ll earn your Student Ambassador Badge and a £5 Academy gift voucher. If they’ve visited before you won’t get a stamp on your card, but you’ll still get some draw tickets. 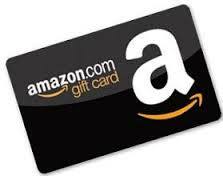 If your friends enrol with the Academy you’ll yourself a £25 Amazon voucher and more prize draw entries too! Obviously for a referral scheme, the whole idea is to recruit new members and so if your VIP guest does actual enrol with the Academy then we’ll reward you with a £25 Amazon gift voucher! Please remember the VIP programme is intended as a promotional activity for the Academy, so VIP guests must be a genuine potential new member. To qualify for draw tickets your VIP guests must be unique – i.e. they have not visited or contacted the school already prior to you referring them. 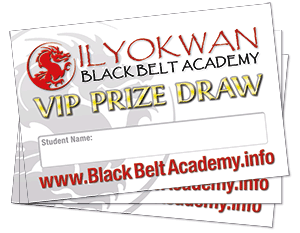 You must return your guests details to the Academy prior to their visit to qualify for a VIP draw entry, i.e. you cannot ‘claim’ a VIP just because one of your friends visits! We must have their full contact details, name, address, phone and email address. Family members of existing students do not qualify as VIPs. If a guest has specifically told us they are not interested in membership then they do not qualify. Please remember: It’s important you only ‘VIP’ people you’ve actually spoken to and recommended the school to first. Please don’t give us the contact details until you’ve done that as we really don’t want to ‘cold call’ or ‘spam’ people as we really hate that kind of thing ourselves and only want to speak to people who know we’re going to be contacting them.